Plan Your Next South Carolina Event at The Red Horse Inn! The Red Horse Inn is located in north Greenville County, about 30 minutes from either Greenville or Spartanburg, South Carolina, and 23 miles from GSP International Airport. Breathtaking views create the perfect backdrop for your corporate retreat or corporate meeting. The environment is designed to inspire in an unconventional way. The Main Inn offers two large meeting rooms with generous glass doors that open onto beautiful arbor patio. 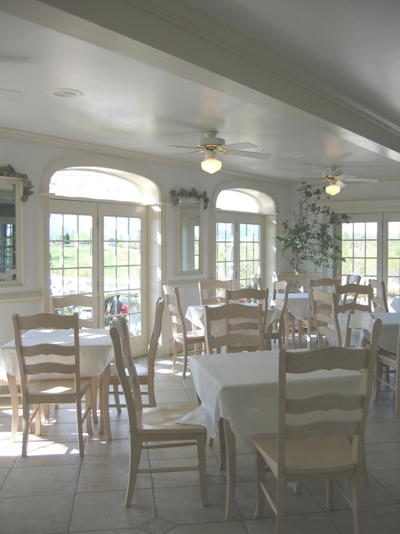 The expansive Blue Ridge Mountains can be viewed from inside as well as from the spacious patio. A garden filled courtyard with pond completes the stimulating atmosphere. In winter, a large fireplace helps to encourage imaginative thinking. The interior will comfortably hold 18 guests for corporate meetings. Depending upon your group’s particular needs, up to 18 can be accommodated for overnight stays. Two adjoining rooms can be closed off to create two smaller break-out rooms. Six luxurious Inn rooms surround the garden quad. 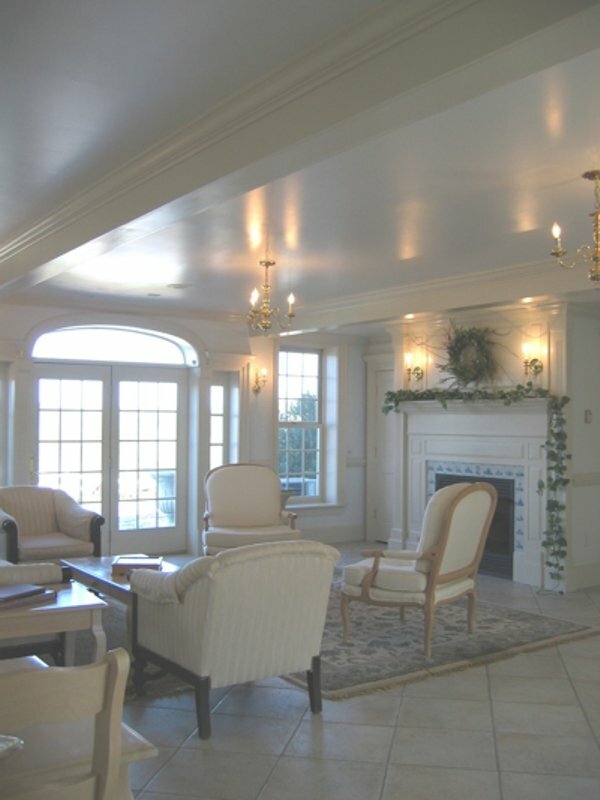 Each offers privacy and comfort including fireplaces, whirlpool tubs, desks, sittings areas, TV with DVD players. All rooms have a built-in kitchen closet that houses a small refrigerator, microwave and coffee maker, offering guests the convenience of having breakfast whenever they please. Two of the upstairs rooms provide private balconies. The downstairs room is the most luxurious room and has its own privately gated terrace. All of the Inn rooms have beautiful mountain views. Five of the rooms have king size beds; one has a queen. Each room is uniquely and beautifully decorated, providing a different atmosphere in each accommodation. White clapboard houses with green tin roofs dot the distant hillsides. Rocking chairs beckon to be filled by relaxing and contemplative guests. Our six charming cottages may be reserved to house those staying for overnight retreats. All of the cottages have fireplaces and one bath. Four can accommodate an additional person with a pull-out sofa bed. Five have full kitchens; the sixth cottage has a kitchenette. Three of our cottages have private outdoor hot tubs. Five of the cottages are situated one quarter of a mile away from the main Inn. The sixth sits closer to the main Inn. All offer complete privacy. The cottages are light-filled with cathedral ceilings and large windows that frame the gorgeous mountain views. Cotton sheets, thick luxurious towels and thoughtful touches will make guests feel pampered. Five of the cottages are equipped with satellite TV. All have TV's with DVD players. The cottage refrigerators can be stocked with your choice of breakfast items: jumbo muffins, yogurt, fresh fruit, coffee, tea and orange juice. If your group prefers, they can gather for breakfast in the main Inn dining room. All 12 accommodations must be booked by your group to host a corporate retreat here. Retreats may only be held on weekdays. Please contact us for pricing for accommodations during your stay. The fee for the venue is $200 per day. The facility may be used between the hours of 8 am and 5 pm. If your group is larger than twelve, we can accommodate six additional guests (provided they are willing to share an accommodation). Four of our cottages each have a pullout sofa bed. The East Room has a pullout sofa bed, and the Manger Room's king size bed can be made into two twin beds. Keep the coffee coming all day for an additional fee. 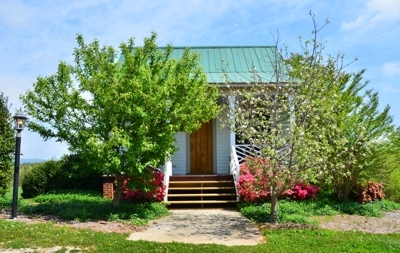 There are several fine dining restaurants in Landrum, only eight miles from the Inn. The Red Horse Inn has a wine and beer license. The wine list is extensive and includes both red and white wines from around the world or we can special order to your specifications. Wine is $10.00 and up per glass or may be purchased by the bottle. Bottle prices vary. Domestic beers are $4.00 each. Let us know your preference and we will special order it for you. All applicable taxes and a 20% gratuity will be added to your final bill. Many area attractions are sure to please your group. Whether your group likes to golf or perhaps practice a bit of teamwork while whitewater rafting, or horseback riding, we can arrange a memorable and enjoyable experience. Cherokee Valley and Links O' Tryon are two championship golf courses within a short drive of the Inn. Golf at Cherokee Valley and receive a discount for your golfing experience. Within a thirty-minute drive, your group can enjoy fly fishing, hiking numerous breathtaking waterfalls or relaxing in nine South Carolina state parks -- several of which have large lakes that offer activities such as boating, fishing and scuba diving. Guests can relax with a massage provided by our masseuse in their room or cottage, or we can arrange a “spa day” at a nearby salon. For a unique and memorable business meeting or corporate retreat, we can arrange a murder mystery event, a wine tasting on site or a visit to one of six local wineries. Whatever your group would like to experience, we are in the business of making your goals a reality. I just wanted to thank you for a wonderful time last week. Your hospitality was more than we could have expected. It was a pleasure staying there. I look forward to seeing you again sometime. WOW! Our mission at Interim HealthCare is honoring God through the enrichment of human life. It should be the same for The Red Horse Inn. The God-blessed scenery and caretakers enriched the lives of each person who attended our Advance. We thank you for your attention to every detail and for allowing us to share your inn. Whether your business is looking at reception halls for the ideal South Carolina convention facility or you want unique corporate Christmas gifts or year-round corporate incentive gifts for your shining star producers, the place to experience is The Red Horse Inn. Most conference halls don't even come close to offering the sweeping mountain views and idea-conducive atmosphere you'll find here. You might also consider the Inn when checking out corporate golf gifts, because our corporate lodging is just a "short putt" from several renowned golf courses. Perhaps you'll utilize this Blue Ridge paradise for an overnight corporate retreat. Whether you're investigating corporate retreats or one-day conference rooms for rent, the environment at The Red Horse Inn far surpasses the average SC "meeting space rental" or the usual "company picnic locations." Whether you're researching Greenville meeting room rental rates, the best company picnic venues or business reception halls, nothing is better for thee than the Inn. South Carolina captures the imagination of artists and business people alike. Wise business folks take imagination into account when reviewing reception halls or business conference halls, the ultimate convention facility or even when securing corporate incentive gifts for their people. Remember imagination when planning the next round of corporate Christmas gifts or corporate golf gifts. Any facility can provide corporate lodging, but an imaginatively placed corporate retreat will blow the socks off all your past corporate retreats if the environment inspires ideas. Even if you're seeking conference rooms for rent or the best of company picnic locations, remember the imagination potential of those meeting venues. Remember The Red Horse Inn. When evaluating SC upcountry corporate event venues and SC upcountry corporate event facilities, you want accommodations with all the right services and amenities to make your South Carolina corporate retreat a success. Ideal SC corporate retreat facilities will include relaxing surroundings, superb service, corporate banquet rooms, adequate corporate meeting rooms and, of course, impeccable overnight quarters. Raising the bar for other South Carolina corporate retreat facilities is The Red Horse Inn, with everything your SC corporate retreat requires. So, welcome home to the Inn and enjoy your corporate retreat "South Carolina style!"